Senate passes House version of veterans' bonus 72-12 without amendment, following limited debate; Presidential veto expected. Sen. Copeland and Wagner of NY condemn charges by Rep. McFadden (R, Pa.) that governorship of the Fed. Reserve is being bartered in a patronage deal with Tammany Hall. Attorney Gen. Mitchell issues temporary order against wiretapping by Federal prohibition agents, except where approved by chiefs of bureaus concerned. Washington report: Silver stabilization situation confused; unclear what effect Senate resolution will have or what prospects are of Chinese silver loan. Struggle among Democrats seen on Prohibition position for 1932, though they're still expected to take wet side. Congress reluctant to appropriate full amount needed in worst case for veterans' bonus, since this would raise total appropriations above psychologically important $5B level. Congress reluctant to tackle postal deficit, but at $100M, or about a fifth of total Federal deficit, it must eventually be faced. Editorial seconding Cornell Prof. J. Boyle's call to strip the Farm Board of its powers of "merchant, speculator, and banker" and change it to an information agency. Editorial by T. Woodlock: Australia's problems are due to excessive borrowing for govt. undertakings; per capita debt close to $900; about half of wage earners are employed by state or Commonwealth govts. ; must now pay the piper in form of deflation; overspending on "schemes very doubtfully remunerative" only produces inflation and temporary prosperity that can't last; let this be a lesson to those in the US looking to public control to solve failings of private business. South American leaders recommend goodwill tour by Lindbergh to offset gains in British prestige due to recent visit by Prince of Wales. High cost of funerals often results in appeals to charity when a death occurs in a poor family. Social workers propose casket companies make available presentable pine caskets for $10 or less to alleviate the problem. Some small communities in Minnesota and the Dakotas are attempting to stimulate payment of old bills and demonstrate value of putting money into circulation by handing out gigantic $10 checks. The recipients are supposed to endorse the check to pay an old bill; the payee in turn pays one of his old debts, and so on. In St. Cloud, Minn., 200 $10 checks were used to pay off $32,800 in old bills, with one of the checks endorsed 27 times. Jobs are so scarce in some cities that unemployed people have started placing classified ads offering cash rewards for jobs. 54-story, 745-foot City Bank Farmers Trust building, located at William Street and Exchange Place, to open Feb. 24. Vaults to be guarded by most elaborate system of "electric sentinels" in the world, able to detect the slightest vibration caused by a "yeggman's hammer or an explosion of TNT"; system had to be tuned to avoid being triggered by subway. Building also contains world's largest switchboard of its kind, with 8,000 extension lines. Construction took about 8 months. Market wrap: Stocks worked gradually higher through the session in spite of several attempts to start reactions; advance was general, with leaders including US Steel pushing ahead and particular strength in coppers, companies linked to auto output, banks and trusts. Bond trading more active; US govts. dull, mostly firm; foreign mixed; corp. active and strong, particularly convertibles. Commodities mixed; grains strong; cotton off moderately. Copper demand good at 10 1/4 cents, further price rise seen likely. Conservative observers advise taking profits in next two days on theory market may run into selling ahead of Monday holiday; however, continue to advise accumulating standard stocks on reactions. Bulls encouraged by rise in copper price and higher steel production reported by Republic Steel, a supplier to automakers. Public interest in the market has grown, particularly in the Midwest, as seen in trading volume and reports from brokers. The resulting renewed buying by outsiders has helped to absorb some profit taking in recent sessions. Foreign trade figures for Jan. disappointing, showing poorest results in about 17 years; trade revival important for recovery. Steel production levels in the next few weeks should be of interest; last year production peaked about this time, rather than the usual "spring bulge"; this year, a more normal seasonal pattern is expected. Locomotive makers expected to show poor earnings this year due to very low unfilled orders. Another article on the finer points of the increasingly popular fixed investment trusts [similar to ETF's], focusing on how the funds charge for maintenance over time. Calvin Bullock Co. believes managed investment trusts [similar to mutual funds] will make a comeback, but will have to adopt principles of British investment trusts, which never distribute trading profits and never pay out all earnings as dividends, thus building up large reserves. Broad Street Gossip: A number of bull pools are operating, and many are being organized; some are targeting low-priced stocks on theory they will come back quickly when business turns up. Opinions differ on when the business upturn will come; optimists see a return to normal before end of summer, while others think it may take until early 1932; bears believe that, 1932 being a Presidential year, recovery won't take place until after the election. Opinions also differ on whether distribution of the veterans' bonus money will be bullish or bearish. One bullish development is the determination of major corporations including the Pennsylvania RR, AT&T, US Steel, and American Can to continue expanding: "Good managements know that the present depression is temporary and that their business is bound to grow. They pay more attention to the future than to the past." Irving Fisher criticizes "dead hand" of long-term charitable endowments attempting to direct affairs of the living over an indefinite period; believes they too often become wasteful or harmful; cites trust established by Benjamin Franklin and recent $40M endowment by Milton Hershey. E. Gruhl, North Amer. Co. VP, hits expensive govt. development projects as frequent economic failures, including Muscle Shoals; says Hoover Dam now economically obsolete due to tremendous supply of cheap natural gas in California. S. Insull, utility leader, explains function of Insull Utility Investments and Corporation Securities affiliates: not formed to profit by trading, but to avoid losing control of utility companies under his management. Has much of his own fortune in the affiliates. Insull utilities have weathered depression well. Stockholder attendance at annual meeting was unusually large. H. Childs of Clark, Childs & Co. confident on market outlook: "I am very bullish on this market, and do not believe that this strength is a flash in the pan ... the mistakes of 1930 have been avoided so far, and the action of the market shows great underlying strength." Fed. Reserve reports money in circulation Feb. 18 down $34M to $4.560B, total Reserve Bank credit outstanding down $24M to $905M. Member banks in NY City report brokers' loans up $23M to $1.772B; loans on securities to non-brokers down $18M to $1.885B. Rates on bankers' acceptances raised 1/8% on all maturities, to 1 1/2% - 1 7/8%. Two more Bank of US directors testify they knew nothing of the bank's loans to subsidiaries, particularly real estate ones; one was Col A. Metz, former Congressman and NY State Comptroller. Directors of the failed Bancokentucky sued for $37,578,966 for mismanagement. Treasury financing requirements in the next few years will be very heavy; if bonus bill passes, $4B-$5B must be repaid or refinanced by end of 1932. 14 leading Rochester companies, including Eastman Kodak and Bausch & Lomb, adopt unemployment benefit plan based on reserve fund paid for by company, setting aside up to 2% of payroll annually; payments to start in 1933. Dow average of 8 iron and steel products was $44.50/ton vs. $44.56 prev. week. Scrap prices irregular, with trends varying in different markets. Cars financed in 1930 were 2.996M for $1.230B vs. 3.560M for $1.623B in 1929. British drain of gold to France almost stopped in past week, but whether stoppage is "temporary or not is impossible to tell." French tax collections in first 10 months of fiscal year were 39.4B francs, 880M over budget estimates but down 2.5B from prev. year. Spanish pesetas continue strong as local market approves new Spanish govt. Cuban exports to US in first 11 months of 1930 were $110.0M vs. $197.5M in 1929, and lowest since 1911. Panama Canal tolls for Feb 1-15 were only $971,910, lowest for any fortnight since June 1927. R. Dean, metallurgist at Bureau of Mines, says US manganese industry could supply domestic needs but has been shut down due to Russian dumping. NY City to sell $100M bonds Mar. 4, mostly for transit and schools; coupon rate will be 4 1/4%. Decisions of Florida courts in Sanford municipal bankruptcy case seen benefitting Florida municipal bondholders generally. I.R.T. directors reportedly more favorable toward NY City transit unification plan. Ford has increased work week at huge Rouge plant to 5 days from 3-day week that had been in effect several months. Auburn reports 3,371 cars shipped in first 45 days of 1931, vs. 2,343 in 1930 and 2,212 in 1929; over 7,000 unfilled orders on hand. Companies reporting decent earnings: Nat'l Power & Light, Kansas City Pwr. & Light, Nepture Meter, Drug Inc., Cream of Wheat, American Ice, Consolidated Ice of Pittsburgh, North Amer. Oil, Bon Ami, Bower Roller Bearing, J.S. Young (licorice paste), Northam Warren (manicure specialties). The Gang's All Here - Musical comedy involving bootlegging business, starring Ted Healy, directed by Oscar Hammerstein 2d. A good rough-house comedy, though "more suited to the taste of the men folks." Mr. Healy starts as Dr. Indian Ike Kelly but ends as Dr. T. Slocum Swink, psychoanalyst; "Baby Face" Martini's gang invades Nantucket with machine guns; lots of idle shooting, which "may get on the nerves of people who go to the theatre to hide away from the banging of the elevated." Show includes array of good-looking female dancers supported by large male chorus, and opulent, scenery with "complicated doo-dads ... manipulated like clockwork." However, show was stolen by NY debut of Hal LeRoy, an "unknown lanky youth in a white suit, all alone on the big stage to dance a few steps"; crowd stopped the show to demand several encores. Joe Cook [major Broadway star] reports complaining to a waitress because the bean soup didn't have beans in it. Her reply: "Well, we got cabinet pudding too, but you won't find Andrew Mellon in it." [cabinet pudding - a delicious-looking English molded bread pudding with dried fruit and custard]. Magistrate - And now, Murphy, give us your last address. Murphy - The cemetery? [Note:That's crazy talk dept.] Needle Trade Workers union, a Communist organization, goes on strike with approval of Soviet Trades Union; demands 40-hour, 5-day week, minimum wage of $40/week, abolition of discrimination against black workers, and unemployment insurance. Editorial: J. McHugh's criticism of tariffs as poor business is accurate. Import duties collected in first 11 months of 1930 were $455.4M, down about $100M from 1929; this decline will worsen, and must be made up by other taxes. Declines in exports will also reduce taxes due to lower profits. Tariffs can't be blamed for all the decline in trade, but probably caused some of it; with Federal revenues now decreasing and spending increasing, it's time to cut tariffs for simple business reasons. Editorial praising Pennsylvania RR's decision to speed up $175M improvement program from 4 years to 2 1/2: "In taking this courageous step in the midst of a severe trade depression the Pennsylvania RR management evokes and reinvigorates one of the finest traditions of American railroading. It sets all industry an example of the highest value." Washington report: With Congressional session drawing to a close, it's uncertain what can be enacted aside from appropriations bills and the veterans' bonus. Oil import legislation now seems unlikely, as does foreign farm embargo; 90% cut in immigration quota seems possible; Muscle Shoals and elimination of lame-duck session of Congress uncertain, awaiting Congressional votes. Senate takes up bonus today; Pres. Hoover sends statement repeating opposition, detailing likely heavy burden on Treasury. Supreme Court ruling on constitutionality of Prohibition anxiously awaited; Court has gone two days after hearing without ruling. Editorial by T. Woodlock: Gov. Pinchot is mistaken in accusing power companies of "pyramiding, ... excessive charges and other devices ... adding many hundreds of millions of dollars a year to the cost of living of the people." This is clearly impossible; the total bill to home consumers in 1928 was only $605.9M. Mr. Pinchot's statement that power should never cost more than 5 cents/KWHr is absurd; even if power cost nothing to generate, this might not cover costs of distribution. Agriculture Sec. Hyde says Dept. will "let no grass grow under its feet" in distributing food and clothing loans from $20M fund approved by Congress, but can't say definitely how soon the loans will be made. Spain gets new Premier, J. Cabanas; to lead "monarchical concentration" govt. ; Republican element may not be satisfied. British coal mine owners demand wage cuts; general strike feared as result. G. Davidson, Jewish Agricutural Society GM, says Jewish farmers of the US feeling effects of depression, but generally holding their own; puts Jewish farm population at over 80,000, operating 1M acres. One of the greatest dangers aviators face is fog. This is the reason for "recent experiments in seeing through the opaque"; radio compasses are also being perfected to direct planes, and "television apparatus, which will penetrate anything, is among the possibilities of the future." Shell Oil sets new world record for rotary drilling oil well at 9,680 feet. Wall Street broker and banker walls hold some significant historical souvenirs, notably J.P. Morgan & Co.'s 1901 check for $23,127,016.07 for expenses of setting up US Steel, which was the largest check drawn in the US to that time. Travellers returning from the "West Indies" [Caribbean] are bringing miniature yachts used by boys sailing out to meet ships. The mini-yachts hold one and can be floated in a bathtub, but have all the gear of a regular yacht. Market wrap: Stock trading quieter, in smaller range. Rallying developed early, with good recoveries in leaders including US Steel and GE; strength seen in utilities, coppers, and can companies. Rally met resistance in afternoon, with bears resuming operations and forcing setbacks from the day's highs; trading favorites including Auburn and J.I. Case were down sharply, but the general list drew good support. Bond market firmer after Senate appeared likely to approve House version of bonus unmodified; US govts. rallied; foreign mixed; corp. higher. Commodities mixed; grains mixed in narrow range; cotton up substantially, with all months selling above 11 cents for the first time since Nov. Copper no longer offered at 10 cents after good buying in past two days; increase to 10 1/4 cents expected. Conservative observers favor profit taking on advances, believe stocks can be replaced at lower levels during technical setbacks; warn against going short. Market rise can't be attributed to recent business news, but seems to be discounting future developments. If business doesn't recover, bears who stick it out will profit. However, conservatives say the bulls have the best odds: "It will not be many months before we will have had two years of depression, and few recessions of the past have lasted more than two years." Business should improve as spring approaches; what happens after that will be crucial. Bankers said preparing to offer new securities in near future, leading to belief they will favor the recent higher range of stocks to ensure a good reception. Trust Companies Magazine prints reports from 48 state banking superintendents showing not a single dollar of trust or estate funds in care of trust companies has been lost due to bank failure, default, or malfeasance. Broad Street Gossip: To the editor: Let's face the facts about Russian competition. In the US, wage earners get $4-$8/day, depending on skill; Russian workers get 20 cents/day. "Now, is the US or any other country going to permit a foreign country to dump products on its shores and sell them far below what the former can make them for, thus demoralizing its entire industrial structure?" A contrary view from H.L. Horton & Co.: Russia isn't a serious competitor for the US in anything but raw materials, and the US is increasingly becoming a manufacturing country; Russian success would turn it into a heavy consumer of finished products, benefiting the US. There's no actual overproduction of raw material; trouble is surplus can't be gotten to the people who need it; world needs better transportation systems; therefore recommend rail, auto, airplane and shipping stocks. 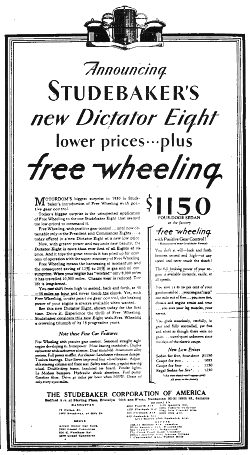 Hornblower & Weeks recommends Woolworth based on increased Jan. business vs. 1929; due to lower commodity prices, Woolworth is able to offer more items in the five and ten cent range than it has since the war; financial position is strong. Henry Ford says international mind is country's greatest need now; "No people can be prosperous unless all are prosperous." H. Bancroft, Dow Jones pres., discusses factors retarding business recovery. Cites "false economizing by those having no need to economize", tariffs, international war debts, artificial attempts at commodity price fixing, tax burden, resistance to wage cuts, and politicians. Hits schemes for restoring prosperity by govt. spending, particularly veterans' bonus: "The government has no money of its own. Every cent that the government appropriates is obtained from the people by taxation, which means by compulsion." Sustained recovery depends on people voluntarily spending their own money; Congress seems determined to cripple their ability to do so. Money markets this week showed first signs of firmness since start of year; a rise in rates is expected. Weekly steel reviews more cheerful due to continued gradual uptrend in production; while most buyers are still cautious, lines including tin plate, rail, and pipe have increased and automotive business has been strong; however, quickness of the automotive upturn has aroused some suspicion it may be "flash in the pan." Finished product price outlook uncertain; some products have been pressured, but strong efforts are underway to raise prices in some lines. Scrap markets also present a mixed picture. Machine tool sales declined slightly in Jan.
Bank of US investigation hears testimony from two directors confirming account that B. Marcus, pres., had deceived board in fall 1929 about results of banking department examination. Also confirm board was apparently kept in dark about loans to affiliates; G. Carr, director, attributed bank failure to "policy loans" given to affiliates, people within the bank, their friends, etc. BLS reports retail food prices declined 14.66% in 15 months ended Dec. 15; every commodity declined except canned salmon. Refineries ran at 61.9% in week ended Feb. 14; stocks of gasoline increased 402,000 barrels to 42.859M. US electric output for week ended Feb. 14 was 1,676 GWHr, down 4.7% from 1930, vs. a 5.9% decline prev. week and 6.3% two weeks ago. It's hoped output will soon show increases vs. 1930 since we're approaching the time in 1930 when output fell sharply. French foreign trade in Jan. declined to lowest level in several years, with imports at 3.8B francs and exports 2.6B. S. McKelvie, Farm Board member, says Grain Stabilization Corp. now holds "as much as 100M bushels" of wheat as a result of operations. Comments from companies that had bad years: Chicago & North Western Rwy. : extent of worldwide depression unexpected; territory experienced worst drought on record, continuing into winter; farmer buying also reduced due to commodity deflation; drastic rate readjustments looming; prudent to conserve cash. S.S. Kresge: look to improve results through internal expense cuts, lower inventories, slower expansion; encouraged by sales gains so far this year. Chrysler: have cut expenses by over 31% while keeping as many as possible employed; in strong financial condition; haven't deferred development of new models or maintenance. Companies reporting decent earnings: North American (utility), Brooklyn Union Gas, Public Service of NJ, Long Island RR, McCrory Stores. Topaze - comedy by Marcel Pagnol, presented in the original French at the Forty-ninth Street Theatre; "picture of a moralist to whom all the prizes of life are denied so long as he lives in fidelity to his code, but to whom, once he is forced unwittingly to become an opportunist, all things come, including the power of wealth, the recognition of his fellow men, and the favors of a beautiful woman." "'Has your son's college education proved of any real value?' 'Yes, indeed. It's entirely cured mother of bragging about him.'" Editorial: Congress appears delusional about current state of the nation's finances; Rep. Bacharach, author of the veterans' bonus compromise, says it won't require a bond issue, while Sen. Harrison said it won't require raising taxes. Simple calculations show appropriations for next fiscal year more than $800M above revenues for the current year, while revenues are likely to be down; therefore Congress must either raise revenues about $1B or Treasury must increase borrowing by that amount. Administration remains opposed to smaller veteran's bonus passed by House, but Congress likely to override veto. Senate debate on liberalizing the bill may still cause complications, including outright failure of bill; in particular, Pres. Hoover may have chance at pocket veto if it's delayed long enough. Prohibition debate in Congress has picked up again, probably due to impending Democratic Nat'l Committee meeting on Mar. 5. British Chancellor Snowden speaks at Labor Party meeting, defends “economy speech”; says budget deficit will be $200M-$250M; reportedly welcomes anyone who thinks they could do a better job to try it; left wing of party said planning campaign to oust Snowden. Conservative leader Baldwin advocates British protective tariff to preserve employment and wages. Judge P. Linebarger, legal adviser to Chinese Nationalist govt., reportedly authorized to open negotiations with US for loan of 1B ounces of silver. Editorial by T. Woodlock: Coastal shippers' requests to the ICC for rulings favoring them over rails are not justified economically, but are at least understandable considering coastal shippers pay their own way, including maintenance of the Panama Canal, while inland waterway shipping gets a free ride off the taxpayer. V. Cutter, United Fruit pres., hits severity of govt. treatment of rails while subsidizing competitors. Editorial: Farm Board vice-chair Stone's warning to farmers to reduce wheat acreage or face a bad situation sound like an alibi being prepared in advance for the failure of the Board's misguided efforts to fix wheat prices. Recall that in Oct. 1929, the Board said it believed wheat prices to be too low based on supply and demand; the price then was about $1.23/bushel; the Board will end the current season with 130M bushels on its hands and July wheat at 68 cents. NY State Senate Majority Leader Knight attacks Gov. Roosevelt's budget as dishonest, balancing only on paper because of "grossly overestimated revenues," and raising salaries of "favored employees" while denying relief to thousands of unemployed. Goodyear plans daily dirigible service to NY City starting about April 15; has arranged to lease airship dock in Jackson Heights, Queens. Waldorf Astoria opening scheduled for Oct. 1; over 50% of store and office space already rented. Story by H. Alloway: Bringing natural gas into Chicago by pipeline, being considered as a new engineering project now, was first advocated by E. Benedict about 40 years ago. Main obstacle as he described it: "You think getting money is hard? You ought to try getting Chicago aldermen." Postmaster Gen. Brown expected to require air mail service operators to buy planes capable of 150mph to get continued govt. subsidies. Pres. Hoover asks Congress to study ways of increasing Postal revenues due to expenses of promoting aviation and merchant marine. Budapest Radio Co. proposes building 150,000 watt radio station, most powerful in Europe, at cost of $4M. The US automat, "with all its rush and hurry," has finally conquered Paris, where eating has for centuries been a leisurely affair, "with every diner a gourmet." Automats have sprung up around Paris as if by magic. Largest is on Boulevard des Italiens; that one is open from noon until two in the morning, and has a dance floor with a live orchestra at one end. Possibly the best feature is that glasses of wine and beer spout out at the click of a franc. Market wrap: Stocks continued up in the morning, with majors matching 1931 highs and "sensational uprushes" in trading favorites. Resistance developed in afternoon; bears then launched aggressive drives; majors and trading favorites dropped quickly, more than giving up earlier gains, while the general list became weak and very irregular. Bond trading dull; US govts. down slightly; foreign steady; corp. high grade mixed, speculative and convertibles fluctuate with stocks. Commodities firm; grains and cotton up moderately. Bears said to have been encouraged in yesterday's session by failure of US Steel and American Can to break through previous 1931 highs. Opinion differed on immediate outlook for stocks. Pessimists cited the general opinion that the recent gain in stocks had outpaced slight improvement in business; optimists cited the sharp gain to above the recent trading range as evidence of a strong technical position, and also believed the sweeping gains would bring influential buying into stocks and improve general business confidence. Many test periods are believed ahead for the market; "opposition always develops after the market has rallied from a low point." Market observers advise waiting for things to settle down; if stocks are then able to "resume their upturn in an orderly fashion," this would be bullish. E. Murphy, publisher of Minneapolis Tribune and "practical farmer," denies general farm depression, says only the single-crop farmer is in trouble; "Whatever politicians or professional gloom spreaders tell you, the time-tried, cow-sow-hen-steer type of farming ... is far from being deflated ..."; "good farming with good livestock" is traveling fast along "the cow-paths to prosperity." C.F. Childs & Co. say large bonus bond issue could, on balance, benefit banks due to higher interest rates. C. Jaffray, Minneapolis St. Paul Rwy. pres. : "Business as a whole is better than a few months ago, and the outlook is improving. ... Bank failures, of course, have had a serious effect upon general business, but this is being gradually overcome." J. McHugh, Chase Nat'l exec. committee chair., says "root of our trouble lies in an old, old practice. Plainly stated, we have let debt mount too fast ... quality of credit deteriorates when credit is excessive." However, while some current trouble was unavoidable, much is due to "paralyzing fear, unreasonable and partly unreasoning"; enthusiasm is overdone in booms, while fear is exaggerated in adverse times; when fear gives way to reason, "business will speedily become very substantially better"; US and the world won't remain for long on a level of business as low as the winter of 1930-31. Comparison of business sentiment today to that of a year ago is interesting. A year ago, most people didn't understand the scope of economic upheaval and anticipated a quick return to prosperity; today, "conditions are realized and the future is regarded soberly." Rather than a strong recovery, the best that's expected by responsible observers is gradual improvement. "Nevertheless, the theory is becoming general that the worst phase of the depression has been passed ..."
Bank of US hearing topics included affairs of an affiliate, which according to investigator M. Steuer had $49M of securities on June 30 that entirely disappeared in less than 6 months. Also testified to was an appearance by pres. Marcus before bank directors in which he described a fall 1929 banking department examination as a triumph for the bank; Mr. Steuer produced the report of the examination, which contained about 60 pages of criticism of bank activities. Rail freight loadings for week ended Feb. 7 were 719,053 cars, down 228 from prev. week, down 18.8% from 1930 week, and down 24.8% from 1929. Steel production in week ended Monday was at 50.5% vs. 49.5% prev. week, 47% two weeks ago, 81% in 1930, and 88% in 1929; US Steel declined 1% while independents rose 2%. Crude oil production in week ended Feb. 14 was 2.127M barrels/day, up 11,200 from prev. week but down 525,250 from a year ago. Feb. auto production is expected to increase substantially from Jan. based on increased schedules at several manufacturers including Ford; industry output of 200,000 - 280,000 units is likely vs. 184,000 in Jan. and 346,000 a year ago. US Jan. exports $250M vs. $411.3M in 1929 and lowest since 1914; imports $183M vs. $311.0M and lowest since 1921; trade surplus in 7 months ending Jan. $509.9M vs. $605.5M. Commerce Dept. emphasized declines in volume were not as drastic. New life insurance production in Jan. was $888.3M, down 10.7% from 1930. World gold production in 1930 was about 20.4M ounces vs. 19.7M in 1929, and highest since 1917; increase attributed to deflation lowering production costs. Standard Oil of Indiana and Pan Amer. Petroleum say opposed to oil embargo, but would welcome and cooperate with "fair, impartial" investigation of oil industry (some House members advocating the embargo on behalf of small producers have threatened an investigation). F. Garrison, prominent mining engineer, says life of South African Witwatersrand gold field depends on improvements in mining low-grade ore; although some of the best mines are exhausted, believes current estimates of fifteen years are too pessimistic. Cites Village Deep mine, at 7,700 feet, as deepest mine in history. German retail sales of cars in 1930 were 79,140 units, down 16% from 1929. Average milk price at the farm in Jan. was $2.04/hundred pounds, lowest in 16 years. Chrysler 1930 net $0.05/share vs. $4.94 in 1929. Companies reporting decent earnings: Baldwin Locomotive, Goldblatt Bros. (department stores), Midvale (castings, tool steel), Lawrence Portland Cement. Yamanaka Galleries: "interesting and splendid" exhibit of Chinese portraiture, mostly Ming and Sun paintings taken from albums, scrolls, and documents. The recently opened Empire State Building has two furnished example corporate office suites on the 6th floor. One has a boardroom in the "early Italian manner, with aged wood beam effect of plaster and carved wall corbel supports ... light fixtures are of hammered iron, and draperies of antique green satin ... chairs are in the Italian Renaissance style ... the library is in the Georgian manner, with a beautiful fireplace ... No atmosphere of office or business here - one might imagine being in a well appointed home." 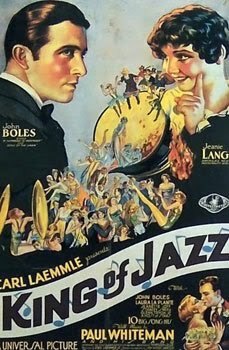 Appearing at the Palace - Beatrice Lillie sings a few comic songs, pausing now and then "to address a side remark to the audience or indulge in antics obviously unbecoming a lady concert singer"; held over for a second week are "Dr. Rockwell, the quack medico with the rapid fire lecture on health, together with the dancing Merediths, whom he heckles from a balcony box." Washington report: Current Congressional session likely to be most expensive ever in peacetime, even not including veterans' bonus; with the bonus, spending authorized is likely to top previous record by $750M-$1B. Combined with declining revenues and deficit for current fiscal year, a large tax increase is indicated; "Congress would like to leave the impression that a tax raise will be confined to the upper brackets. There is no assurance of this." How Treasury will handle financing for bonus is uncertain; Treasury has said outstanding short-term debt of $2.8B is already too large. Both Pres. Hoover and Sen. Dem. leader Robinson attacked by party members for drought relief compromise. Rep. Hull (D, Tenn.) hits high tariff walls as greatest cause of depression. Rep. LaGuardia (R, NY) responds to challenge by Martin Insull to attack utilities outside Congress by renouncing Congressional immunity and repeating charges outside on public street. R. Stephenson, Amer. Bankers' Assoc. pres., appears before Glass committee; opposed to unified banking under Federal control, attributes many bank failures to failure of communities the banks served. M. Traylor calls proposal for unified banking most dangerous in his lifetime. British economic experts draw up 5-year plan to enable British industry to keep pace with US and Russia; based on consolidation into large units with worker and consumer representation, elimination of competition. Editorial: The US should participate in the League of Nations armament conference called for Feb. 1932, sincerely if only unofficially; the "familiar argument of American isolationists" that the US should detach itself from world politics won't play well abroad. In particular, there's no good reason why a US citizen shouldn't act as chairman if participating nations so desire. Editorial: US trade with S. America declined 30% in 1929; this is a matter of concern, considering loans and billions of direct investment the US has there. The trade decline coincided with drastic declines in S. American export commodities. It's reassuring that commodity prices seem to have turned up in Feb., though one month doesn't make a trend. A US recovery, causing increased demand and prices for commodities, would likely lead to a trade recovery with S. America. Editorial by T.Woodlock: US rail system contains a great deal of deadwood that should be abandoned; 30% of rail mileage does only 2% of business. Drought-breaking rains fall over much of the Southwest; Weather Bureau says drought should be relieved in most states South of Iowa. State Dept. says 1931 immigration to US to be reduced to 18,000 from previous avg. of 153,000; restriction to continue until unemployment situation remedied. “Pittsburgh Plan” for unemployed advocated by Penn. Gov. Pinchot is surveying unemployed and attempting to raise $1M from employers. A record 511 people reported income over $1M in 1928; 26 reported income over $5M, with 11 of those in NY State. NYU School of Law forms Amer. Academy of Air Law to develop aviation law along rational lines. One far-sighted air transport co. is looking ahead to a time when the air is filled with planes. Although there has never been a case of two commercial planes colliding at night, Transcontinental & Western Air is eliminating any possibility of this by installing a red spotlight on the wings of all its planes. Detroit News buys a Pitcairn autogiro [predecessor of helicopter] for newsgathering, aerial photography, and emergency distribution of papers. T. Baker, Carnegie Inst. pres., says development of liquid coal for fuel in case of exhaustion of oil supply is only way to improve conditions in coal industry. P. Wagoner, Underwood pres., says two of every five typewriters sold is now a portable, believes portables will overtake standard models in not distant future. Saskatchewan, Western Canada is being plagued by an increase in cattle thefts by rustlers using trucks to transport cattle or carcasses. Alaska is being overrun by reindeer herds now numbering over 1M animals, and growing at a rate of over 200,000 fawns/year. Market wrap: Stocks easily absorbed a moderate amount of sell orders accumulated over the weekend, then advanced broadly; cos. supplying the auto industry rallied; strength spread to rails and utilities while oils, banks and trusts lagged; buying demand continued impressively through session. Bond trading quiet; US govts. down slightly; foreign steady to firm; corp. high grade steady, speculative strong. Commodities weak; grains down substantially; cotton little changed. Silver declined 5/8 cent to new record low of 25 3/4 cents. Conservative observers advise against either following stocks up or going short; most advise buying leading issues gradually on declines; a growing number anticipate a technical reaction. Business improvement hasn't been outstanding, but has been slow and steady in some important lines, including steel and automotive; other industries at least show signs of flattening rate of decline. Many industrialists see this year as one with a gradual but sustainable uptrend, as opposed to 1930, which started with a spurt but ran into severe recession later. Earnings of many industrials are expected to be poor this quarter and the next. Encouraging news included stepped up production at Oldsmobile and Oakland-Pontiac divisions of GM, better public response to Chrysler and Hudson models, and impending adjournment of Congress. Broad Street Gossip: NY State savings banks reported record-breaking gains in deposits of $74.8M in Dec. and $95.6M in Jan., ending Jan. with a new record of 5.344M accounts. In addition, $650M of new securities were sold in Jan. "If all that can be accomplished in a year of depression, what will the result be when industry again reaches normal?" A well-known economist notes companies with the best earnings performances last year were those that spent liberally on advertising. Some of the "large interests" have been buying, but some are waiting to see if business has definitely turned up. "The big interests always are the real factors in starting a major upward swing," though they don't always act together. One trader has run into trouble so often trying to "catch the last eighth" that he has standing instructions at his broker to deduct an eighth from the price on all sell orders, and add an eighth to the price on all buys. H. Bowker, Amer. Agric. Chemical pres., says potential US sales of fertilizer huge; over half of farms use none; if US farmers used as much per acre as German, annual consumption would be 63.5M tons instead of current 8M. F. Brownell, Amer. Smelting & Refining chair., sees key to silver trend in future sales by India. E. Reeser, Barnsdall Corp. pres., questions if domestic oil curtailment can succeed without also curtailing imports; notes country has potential production of 10M barrels/day but has by agreement reduced actual production from 3M to 2M; most wells now unprofitable; believes curtailment must be permanent since demand for crude oil has about reached its limit. W. Cambpell, Ford Canada pres., says business has passed bottom of depression, believes Canada resuming expansion. Harvard Economic Society says depression apparently at or near bottom, indicators that most reliably signalled past recoveries are favorable or have levelled off. M. Steuer Bank of US investigation hears testimony of J. Cowen, director and uncle of B. Marcus, bank pres. Mr. Cowen fails to remember discussion of loans to affiliates, gives impression board approved transactions without looking at details. Mr. Cowen owed the bank $500,000 when it closed. Mr. Steuer also implied the bank's real estate equities were practically worthless, making reorganization improbable. Dominick & Dominick note total value of new securities marketed in the US in 1930 was $7.7B, down 34% from 1929, "This decline clearly demonstrated that in a period of depression and lack of confidence, the existence of cheap money and ample banking credit do not stimulate new financing." Proportion of securities in the form of bonds and notes were 71% of the total, vs. 31% in 1929; largest borrowers were public utilities. Commerce Dept. reports US customers buying at least $5B of goods on installment plans, while bad debts average only 1.2%. A. Morris, Industrial Fin. Corp. pres., views this record as “triumph of character for the American consumer who, 20 years ago, was regarded as untrustworthy for more than 30 days and seldom that long unless he was quite a person in the community”; reports young women better credit risks than young men, young single men better than married. ICC lowers rail transport rates on petroleum and its products. Germany receives foreign loan of 300M marks with participation of major world financial markets; French participation in particular is seen as highly significant, and evidence “Germany's moderate policy in international relations is bearing fruit”; this was first time since the war the French market undertook a loan for use of the German govt., aside from reparations-related loans. Frauds totalling $400,000 discovered at Banco Nacional Ultramarino, second-largest bank in Portugal, recently taken over by govt. French Budget Min. says deficit for current year will be over $80M, new budget faces similar difficulty unless spending is limited. French carloadings averaged 58,700 in Dec. vs. 60,500 in Nov. and 65,100 average for 1929. Oil production in Alberta, Can. in 1930 was 1.434M barrels vs. 999,152 in 1929. Anti-chain store tax measures are pending in 33 states, and subject of legal challenge in Kentucky. NYSE seat sold for $295,000, up $20,000 from previous sale. Phillips Petroleum likely to omit next quarterly dividend. Companies reporting decent earnings: American Can, Continental Can, American Home Products, Swift Internacional, Pacific Western Oil, Calgary Power, Baldwin Rubber. Dracula - Although produced with "eerie atmospheric backgrounds," conveys little of the terror which made Bram Stoker's novel such exciting reading. Dialogue and action are too slow to be effective. Bela Lugosi repeats role of "human vampire" that he portrayed on stage, and Edward Van Sloan is Dr. Van Helsing; "both play their parts in a conventional stage manner which is not well suited to motion pictures." "' I called on Mabel last night, and I wasn't any more than inside the door before her mother asked me my intentions.' 'That must have been embarrassing.' 'Yes, but that's not the worst of it. Mabel called from upstairs and said 'That isn't the one, mother.'" Editorial: Congress, disappointingly, has gone beyond the reasonable Young veterans' bonus plan to limit the payout to $300M-$500M to veterans in need, and looks set to approve a plan with a likely payout of $700M and potential liability up to $1.350B. Economic recovery will be set back many months; funds must be found to cover not only this payout but a $500M deficit for the fiscal year ending in June. "Business must be prepared to take it on the nose." Compromise veteran's bonus seen likely to pass House today; Senate may pass it as is or a larger version. Pres. Hoover likely to veto the bonus; Congress then likely to override. Treasury Sec. Mellon says measure would require heavy new financing in next 28 months. French unemployment is rising; govt. employment agency has 50,715 open requests for jobs. Labor unrest is increasing as trades affected by the slump try to cut wages 10%-20%; minor strikes are affecting most industries, and the govt. is cracking down on foreign labor after protests on its high level of usage. Editorial: Senate's plan to stabilize silver in order to raise China's standard of living and improve trade is aimed at a worthy goal but doomed to failure. With leading commercial nations on a gold standard, silver is a commodity and, as for other commodities, efforts to control its price are likely to fail. "We had better leave silver, wheat, coffee, rubber and other commodities to find their natural level." Editorial by T. Woodlock reviewing some of the history of gold and silver, including the interesting fact that ratio of production in 1929 was almost the same as in 1873 (14 times as much silver as gold produced in 1873, 13 times in 1929) whereas ratio of value went from about 1.17 to over 3 (i.e. the gold produced in 1873 was worth only 17% more than the silver, but in 1929 was worth 3 times as much). Mr. Woodlock's explanation: "logically, or illogically, the world as a whole 40 years ago ceased to regard silver as money ..." Money must be something that can be exchanged for goods and services everywhere. Schemes to make things other than gold into money seem to rely on forcing others to take it, i.e. "legal tender." Chancellor Snowden says was referring to domestic British war debts as curse, not to the US debt settlement arrived at by Baldwin. On June 1, 1876, a special "Lighting Train" left Jersey City to set a coast-to-coast record. It arrived 81 hours later in San Francisco, an amazing feat only seven years after completion of the first transcontinental railroad. The coast-to-coast trip normally took a full week. Sweden is becoming Americanized, most distinctly in Stockholm. Citizens there like US novels, magazines, and movies; typical slang expressions such as "All right, kid," "O.K.," "Hello, baby," "So long," and "Howdy" are frequently heard. Orange juice is served for breakfast, hot dogs are sold everywhere, and cigarettes are increasingly popular in hotels. Bath Iron Works shipyards in Maine to launch 279-foot private yacht built for Eldridge Johnson, former Victor Talking Machines pres. Estate of George Rudd of the Bronx appraised at $1.049M, bulk of it in cash on deposit at 66 different banks. Market wrap: Stocks opened short session with declines, but volume dropped and support came in. Market firmed at end of first hour; much of the list rallied; amusements and trading favorites were strong while leaders were steady to the close. Bond trading moderately active, prices irregular; US govts. dull, slightly lower; European firm; S. American irregular; corp. high grade firm, speculative dull, irregular. Commodities dull; grains mixed in narrow range; cotton down slightly. Week in review: Stocks broke out of trading range; upswing was "so broad, and so well sustained that it was clearly due to something more basic than a temporary running-in of the shorts." Bank and trust stocks were relatively weak. Corp. bonds generally higher; US govts. irregular on veterans' bonus concerns; European govts. up mildly, S. American irregular. Money market rates may have hit bottom based on spring business activity and stock upturn; rates on bankers' acceptances were raised 1/8% at week-end, to 1 3/8% - 1 3/4%. Steel production continued uptrend, reaching 50% of capacity; however, improvement was small and uneven. Grains up sharply early in the week, then lost most of gains. Cotton rose steadily. Copper firmed to 10 cents. Foreign currencies highly irregular. Europeans started week strongly, but reversed sharply after Chancellor Snowden's "economy speech"; European stock markets also fell following the speech. Chinese currencies fell as silver declined to record lows. Spanish pesetas slumped on general strikes and political instability. Market observers believe a larger technical reaction may take place, but advise using declines for accumulation of standard stocks. Most interests warn against taking the short side. Observers encouraged by $33M gain in brokers' loans, only the second weekly gain since Sept.; seen as first tangible evidence public is returning to market. Wall Street professionals, however, remain skeptical as indicated by continued substantial short interest; almost 100 stocks continue to "loan flat." Rail shares, which usually lag sharp advances in industrials and utilities, have instead outpaced them this year; the Dow 20-rail average has increased from 91.65 on Dec. 16 to 111.07 on Feb. 10. This gain came in spite of poor current earnings and carloading figures. Oil stocks haven't shared in the recent rally; it's rumored the new East Texas field may threaten the general oil price structure. Low-priced industrials have been attracting public buying according to a number of brokers. Rumors circulated widely of a new pool operating in Vanadium; stock has previously been subject of bear-bull contests. Broad Street Gossip: Stocks have rallied substantially so far this year; the Dow gained 18.96 from the year's low to Saturday's close. However, this was still 200.76 points off the 1929 peak. Stocks have easily absorbed a lot of profit taking in the past few days; this is the type of market bulls like and bears dislike. Brokers who loan stocks out report short interest remains large; considerable short covering has taken place, but new short sellers are coming in on advances. Very low interest rates considered encouraging for stocks. History of trade cycles in past 50 years shows bottom has almost always been hit when rates were very low; also, dividend yields substantially above money market rates should spur investment demand. Rep. McFadden (R, Penn.) accuses international bankers of planning to foist $300M in Cuban bonds on unsuspecting Americans, using State Dept. as cats-paws. Argentine Fin. Min. Perez says believes worst of economic depression already past. H. Blythe, Goodyear VP, believes recovery from depression began in Oct.
Evangeline Booth, Salvation Army Commander, says number of jobless being fed daily has declined to 35,000 from 50,000 in past few weeks, indicating country has passed the unemployment crisis. Col. L. Ayres, Cleveland Trust VP, points to Jan. upturns in business indexes as important indications we're “at or near the bottom of this depression”; unsure if strong spring recovery will develop; this should become evident within 6 weeks; past history indicates slow period for some months. Car production has improved considerably from start of year, though still well below 1930; further moderate gains expected. Encouraging gain in public demand for new cars is reported. Total US and Canada Jan. production was about 184,000 cars, up 14% from Dec. but down 35% from Jan. 1930. GM sales to dealers in US and Canada in Jan. were 89,349 cars and trucks vs. 80,008 and 106,509. US automotive exports in 1930 were $298.8M, down 47% from 1929; imports were $1.9M, down 46%. BLS reports Jan. employment in 15 industrial groups down 4.2%, payrolls down 8.2%; decline called largely seasonal. Steel buying improved in past week; many orders have been for early delivery, reflecting low inventories; auto demand is larger. Youngstown district production unchanged at 50% this week. Scrap market is irregular. Fisher's wholesale commodity index declined for 10th week in a row, to 76.3 for week of Feb. 6, vs. 80.7 for week of Dec. 5. US/Canadian newsprint production in Jan. was 289,866 tons vs. 284,031 in Dec. and 331,156 in Jan. 1930. US cotton consumption was 454,188 bales vs. 406,207 and 576,160. US tire shipments in Dec. were 3.361M, up 18.6% from Nov. and up 3.8% from Dec. 1929. Class 1 rails 1930 net operating income was $885.0M, down 30.5% from 1929 and a return of 3.3% on property investment vs. 4.95% in 1929. Gross operating revenue was $5.343B, down 16% from 1929. Crude oil price cuts expected in Oklahoma. Gasoline prices cut in Ohio. Farm Board chair. Legge urges immediate 30% reduction in cotton acreage; says 1931 crop as large as previous two would drive cotton prices under 10 cents. Directors of the closed Chelsea Bank submit final plan for reopening; depositors to be assured 100% of their money. Net gain in deposits at 144 NY State savings banks in Jan. was over $95M vs. $25M in 1930 and $9M in 1929. Banks seen benefitting from Fed. easy money policy through lowered interest rates paid to depositors. Article detailing the rather eye-opening series of expense charges that purchasers of fixed investment trusts (similar to ETF's) are subject to. Herald Tribune reports US visitors to Europe were 403,000 in 1930 vs. 313,000 in 1929; visitors are spending less, and a larger proportion are visiting Germany. Commerce Dept. reports number of movie theaters worldwide is 62,365, of which 22,731 are in US, 28,454 in Europe, and 4,954 in S. America. Air express service announced between 16 Eastern cities, to be operated by prominent air lines together with Western Union. Lower rates indicate a drive to increase revenues from this source. J.C. Penney 1930 net $2.88/share vs. $4.66. Great Northern Rwy. 1930 net $7.24/share vs. $10.31. McKeesport Tin Plate appears to be first steel co. announcing gain in 1930 earnings vs. 1929; attributed to good can business. Companies reporting decent earnings: Indiana Pipe Line, Tampa Electric, Great Lakes Dredge & Dock. Hobo - "Composition in ten scenes about the knights of the road" including St. Louis Blackie, Ohio Slim, and K.C. Shorty. Trader Horn - First film to "reproduce, realistically the sounds of jungle life ... Some of the scenes were 'staged,' of course, ... but many of the most thrilling episodes were obtained on location, with the animals fighting over their kill and plunging through the jungle unmindful" of the cameras. "Motorist - Hey, it's pretty fortunate for you this happened in front of a doctor's house. Victim - Yeah - but I'm the doctor."